Roots of Wellness, or also known as ROW, offers wellness retreats and vacation planning. The owners, Ailee and Maggi, approached us to create a brand that captured the vision of their business. 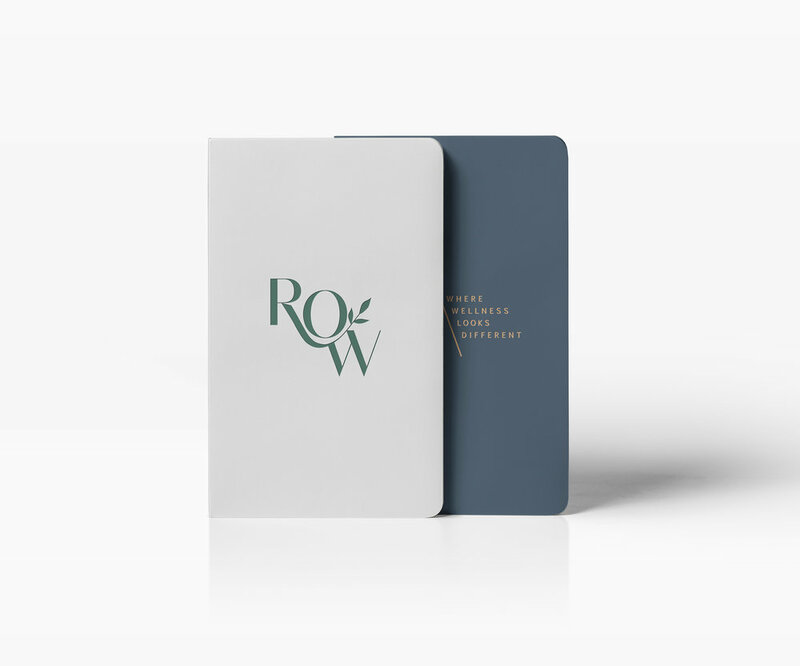 After completing our brand strategy for ROW, we knew the direction of the brand should be both representative of their fun personalities mixed with a “high-end” feel for their target audience. As well, we wanted to tie all of of their elements together in a brand that would capture the buzzwords which were: wellness, balance, grounded, sustainable, transferable and practical. We started with sketching both serif and sans serif type, and immediately knew a blend of both would be perfect for ROW. This blend brings in the contrasting weight within each letter (which ‘reads’ luxurious and timeless). Then, from there we created a leaf element that came out of the “R” to have more of a ‘rooted’ feel throughout the logo. We love that this leaf speaks into the name of the brand and also the overall wellness and sustainability themes. Finally, we brought in playful patterns and tagline design to again balance the fun and vibrant elements with the high end and sophisticated look.